If you have a loved one who wants to continue living at home, but needs help with basic daily activities, in-home care might be right for them. The first thing you should be aware of is exactly what type of caregiver you may need for your loved one. In Florida there are three basic types of assistants, including a homemaker/companion, a home health aide, and a medical professional. The homemaker/companion is typically only for chores around the house and errands. For example, your grandmother may not have immediate health concerns, but is unable to drive to appointments, go grocery shopping, clean her home, do the laundry, or prepare her meals. A homemaker/companion would help with these and allow her to be able to continue living at home. If your loved also needs some assistance with personal care, in addition to help with the house chores, a home health aide would allow them to stay at home. Home health aides will have additional training and experience. These aides assist the client with personal care, such as bathing, dressing etc, in addition to performing other tasks such as checking your loved one’s temperature. The third type of in-home care aide is a medical professional. This is needed for seniors who want to live at home but need medical supervision. This person is usually needed on a more short-term basis, such as after a major surgery or after being released from the hospital. It may be a nurse, occupational therapist, speech therapist and/or physical therapist. They provide services that a home health aide is not allowed to handle. The good thing about working with a home healthcare agency versus hiring independent caregivers is that the agencies have all these three types of providers on staff, and they are bonded and insured. Whether you need a homemaker/companion, a home heat aide, or a skilled nurse or therapist, the agency can help fulfill your special needs quickly and safely. What are the costs and are they covered by government funding programs? What background checks are performed on their aides before hiring them? Are the home aides willing to work with the senior’s family and their preferences? What type of insurance do they carry? How do they monitor the care their aides provide? 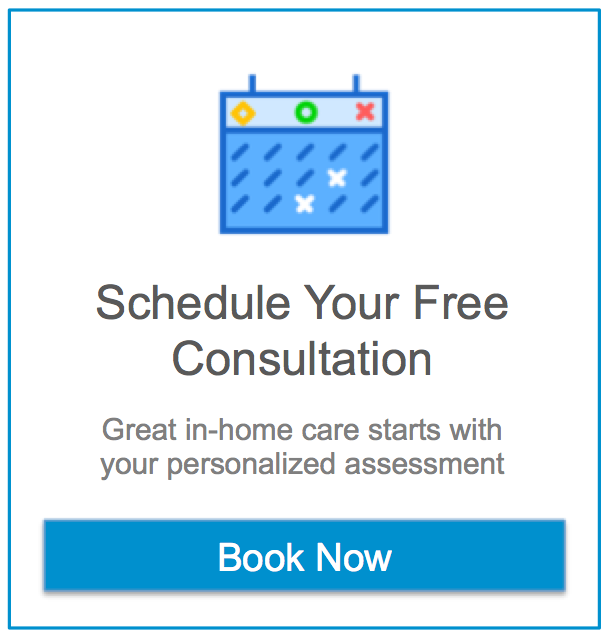 They want to complement family care – This is an important quality to look for in an in-home care agency. The agency should be more than willing to work closely with your family and develop a plan that works well for everyone. They show a sincere interest in the health of your loved one – Is there an interview process with your loved one? If there is, during the interview process, pay attention to how many questions the home healthcare agency asks about your loved one and the depth and quality of those questions. Do they look at your loved one directly and speak in a gentle voice? They match the best caregiver given the personality of the caretaker – Some agencies conduct a personal profile analysis and job compatibility test. Make sure the agency you choose can select the best match from a list of pre-screened group of available assistants. Check about Assisting Hands® matching process. They have initiative – A good home care aide should show initiative. Perhaps they have recommendations for creating a better schedule for your loved one or they believe they can improve the set-up in the senior’s bedroom. This is great quality to have. It’s always good to remember how important independent living is for seniors. Feel free to give Assisting Hands Home Care a call at (561) 419-6281 to better understand the options for seniors’ in-home care. We are here to make sure that your loved one’s home life is as happy, healthy and safe as possible! Hope you enjoyed the reading. Please share it, and feel free to leave comments or contact me directly at rperez@assistinghands.com with specific or more personal questions.